​MediClear-SGS and MediCleary Plus are a rice protein and pea protein-based nutritional supplement, with a complete multiple/vitamin-mineral profile and additional detoxification cofactors, milk thistle, flavonoid phytosomes, and sulforaphane glucosinolate (SGS) from broccoli seed. 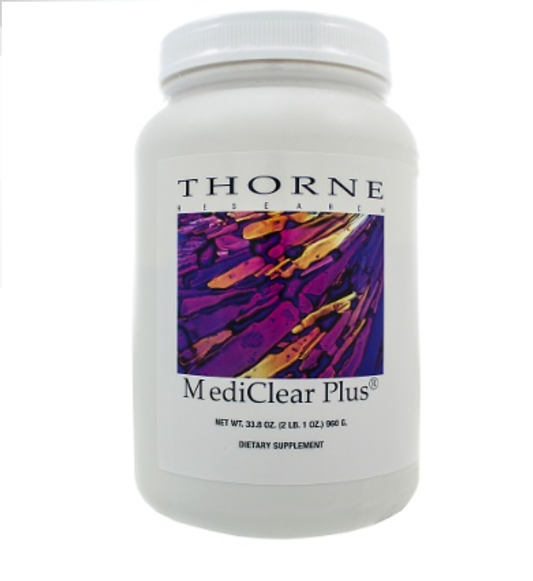 Milk thistle extract has recently been added to Thorne’s MediClear suite of products. Now MediClear-SGS goes one step further, by adding the enhanced liver support of SGS to the original MediClear suite. * SGS is a natural substance from the seeds and sprouts of select broccoli varietals – for effective up-regulation of the bodys natural phase II detoxification enzymes. * SGS is also an indirect antioxidant that can provide long-lasting cell protection from free-radical damage days after it’s been consumed. * Each serving of MediClear-SGS contains 30 mg of sulforaphane glucosinolate – the equivalent of eating 1.2 pounds of broccoli. 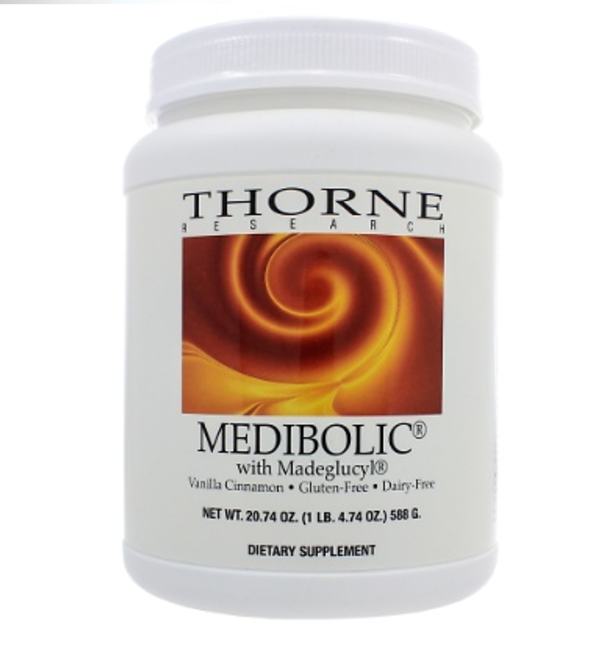 MediClear-SGS uses a vegan blend of rice protein and pea protein. This combination of rice and pea is used because of the low incidence of allergenicity associated with their protein components. It is far more likely for dairy protein or soy protein to initiate an allergic reaction. Using the proteins derived from rice and pea eliminates most allergenic proteins from the diet while maintaining a high-quality protein intake. Cocoa, Flavors, Evaporated Cane Juice Sugar, Glucose, Stevia extract (leaf) (Rebaudioside A 95%), Silicon Dioxide, Monk Fruit concentrate (fruit) (Siraitia grosvenorii). Flavors, Evaporated Cane Juice Sugar, Rice Bran, Stevia extract (leaf) (Rebaudioside A 97%).